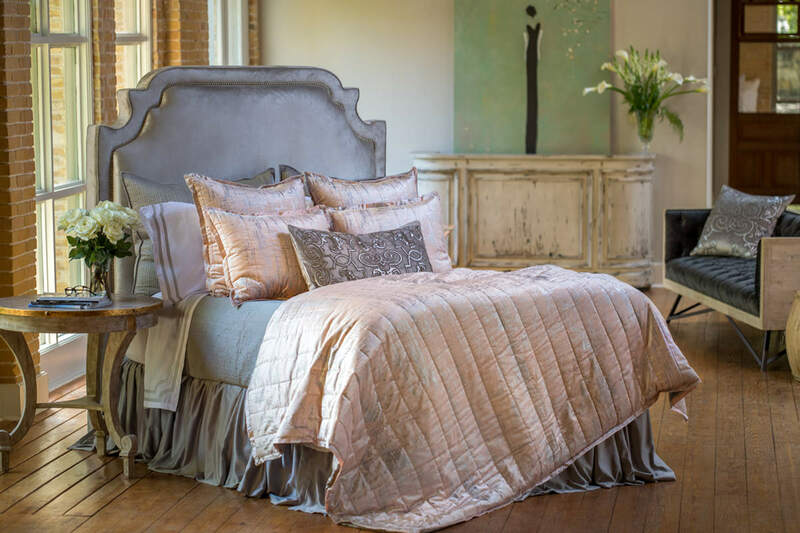 The Moderne Blush Velvet/Silver Print collection by Lili Alessandra gives tribute to the glamour of old Hollywood. 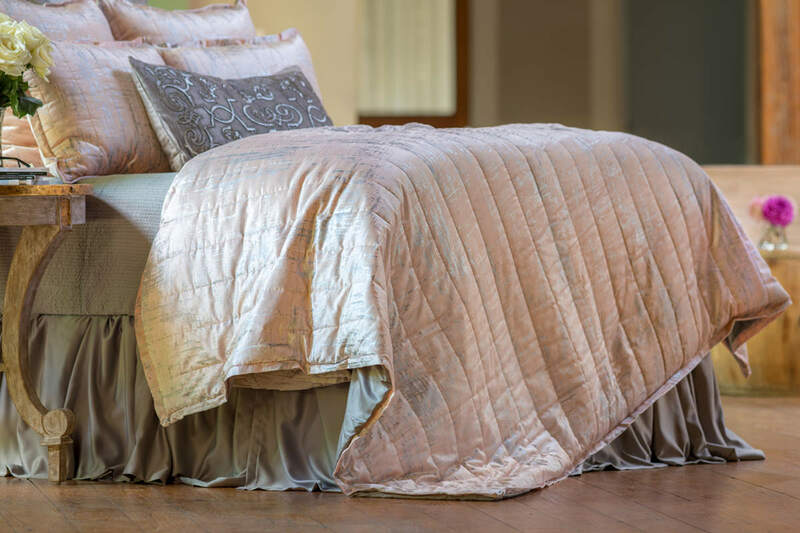 The personal coverlet/blanket is made large enough to work at the foot of a king/queen bed or can be used as a Twin size comforter. 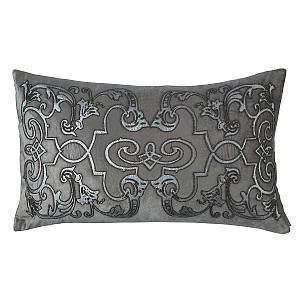 Machine washable velvet. 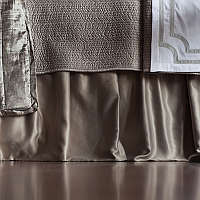 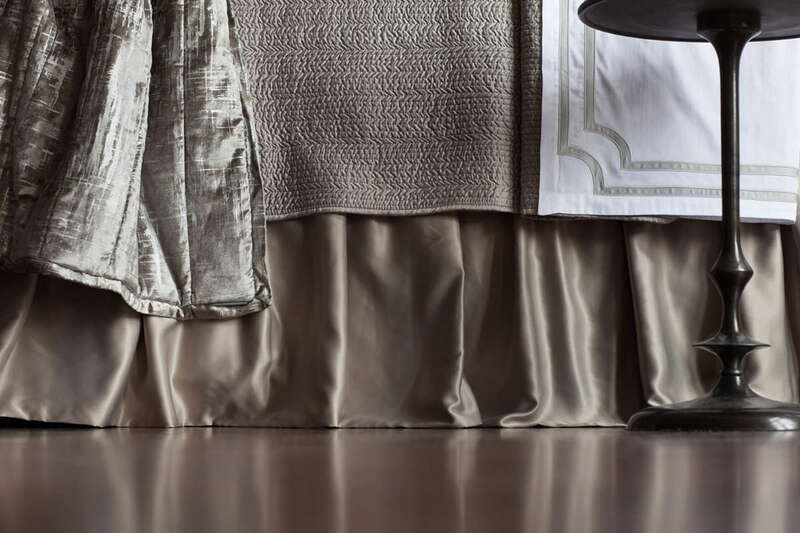 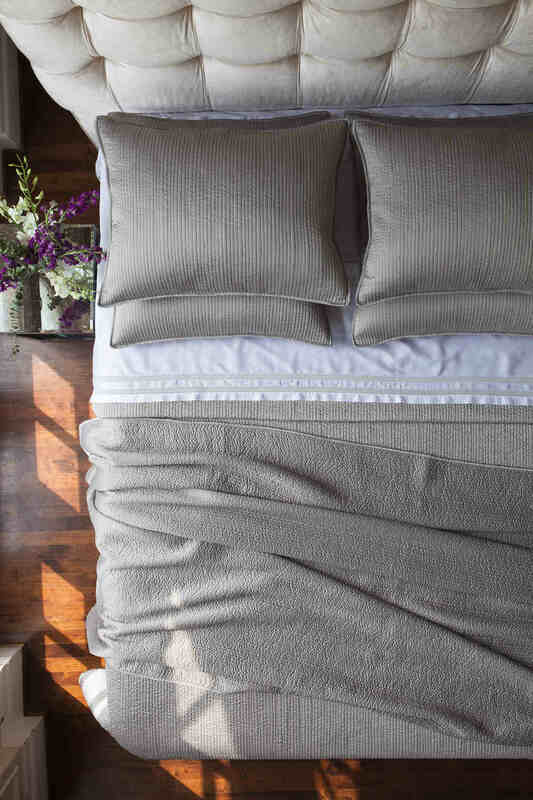 Gathered bed skirt in Pewter Silk & Sensibility, a silk-like fabric. 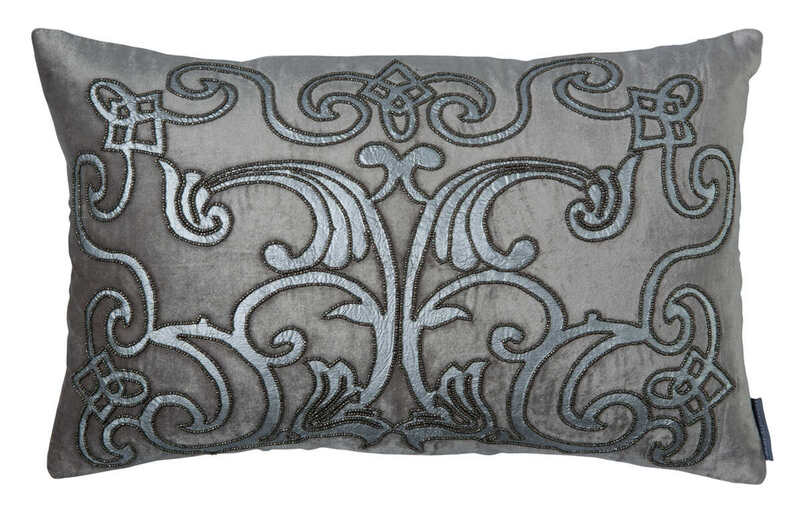 Adjustable panels fit king or queen. 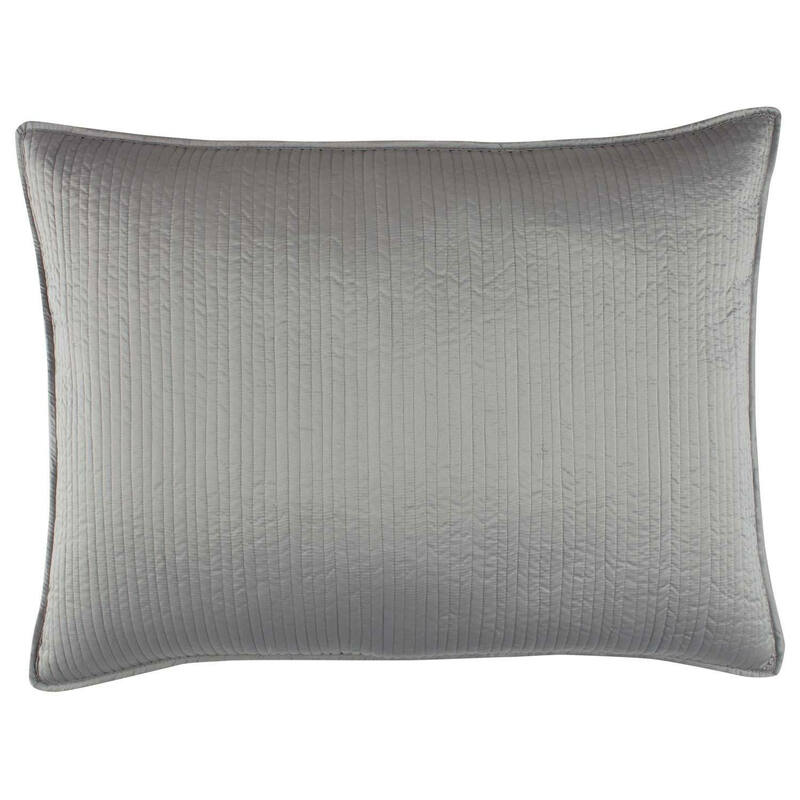 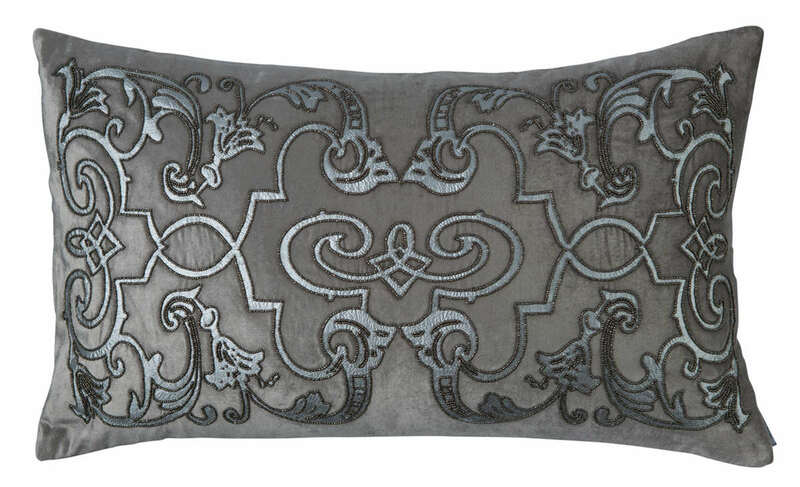 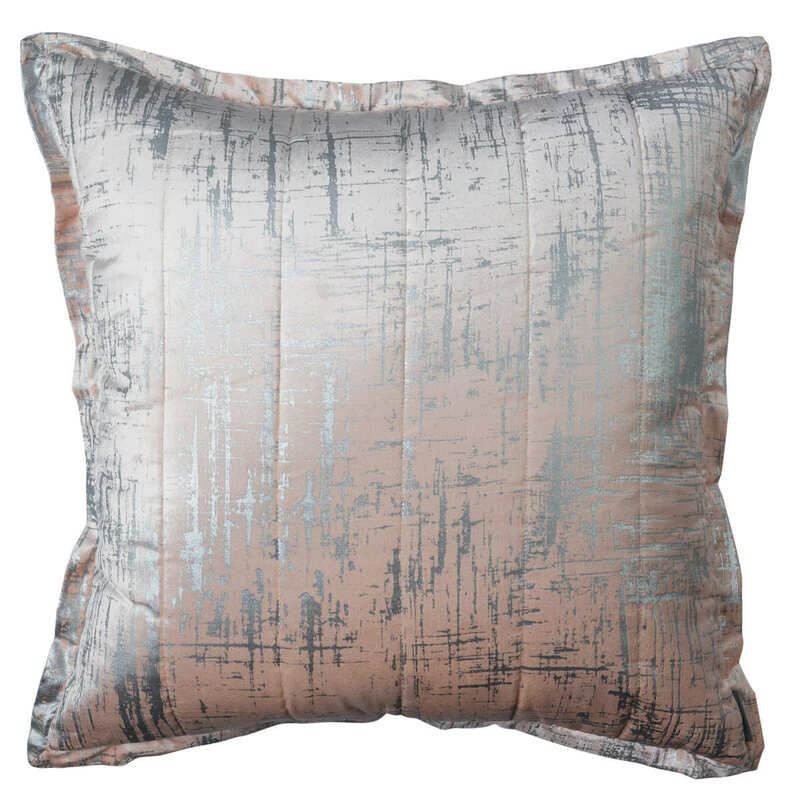 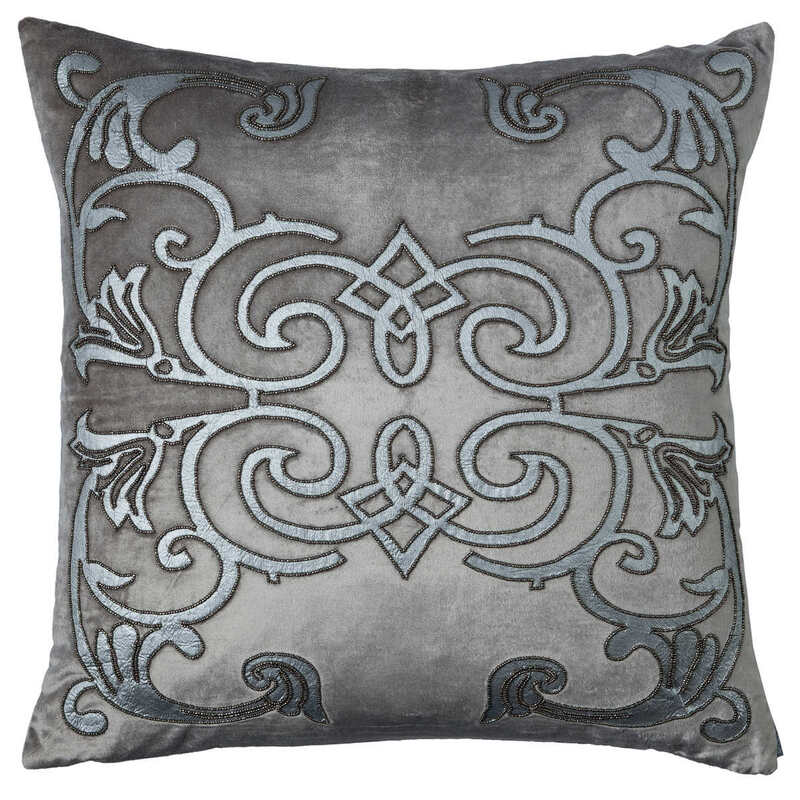 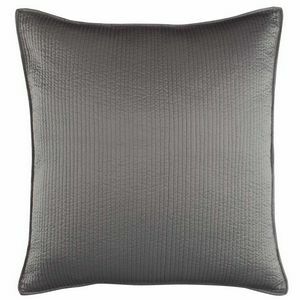 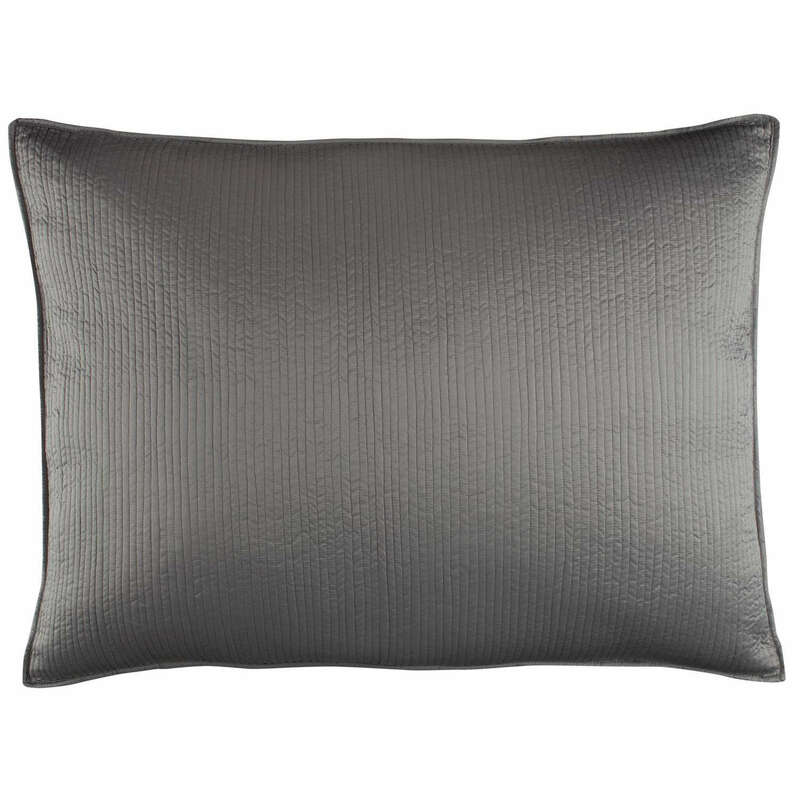 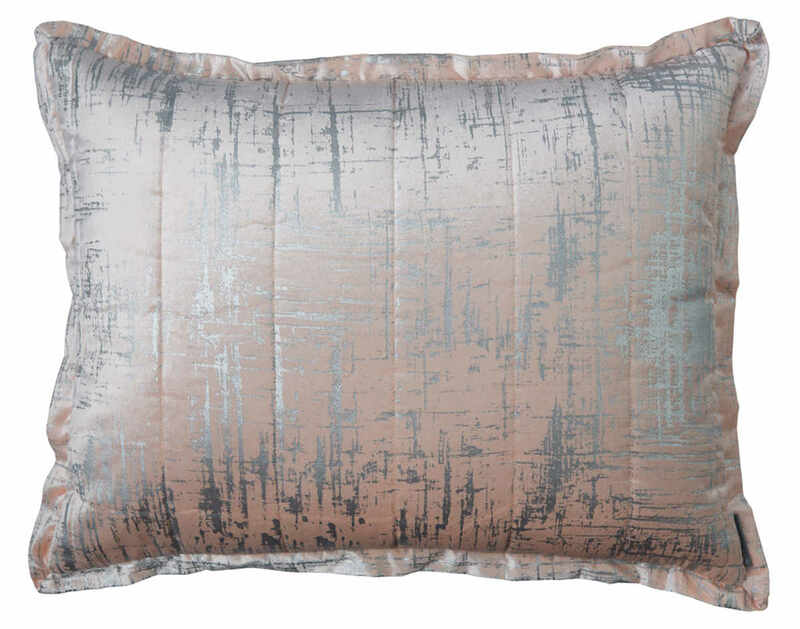 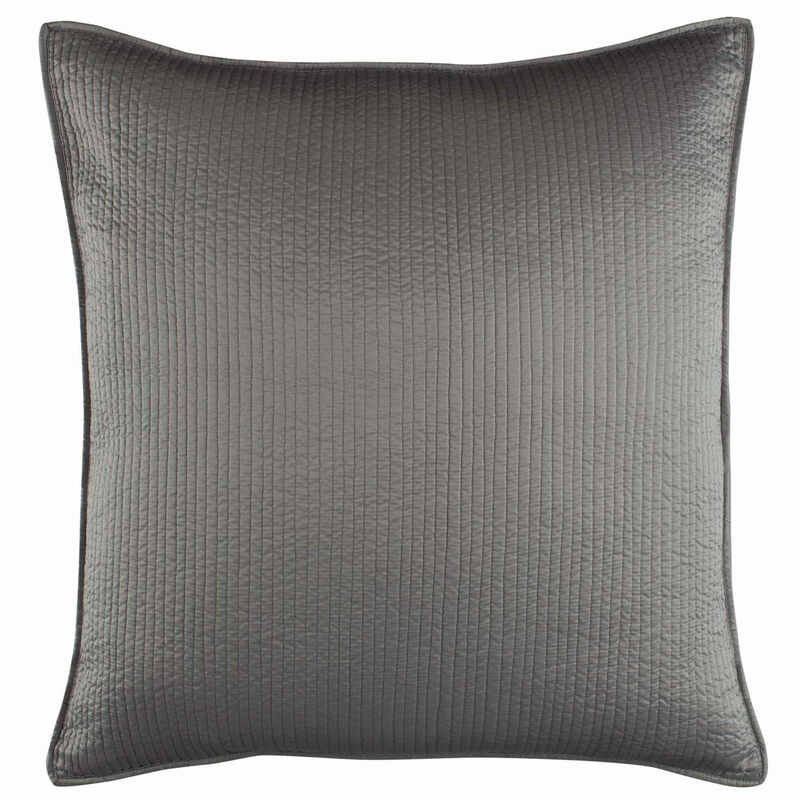 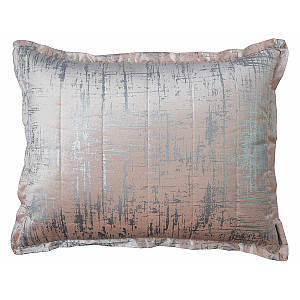 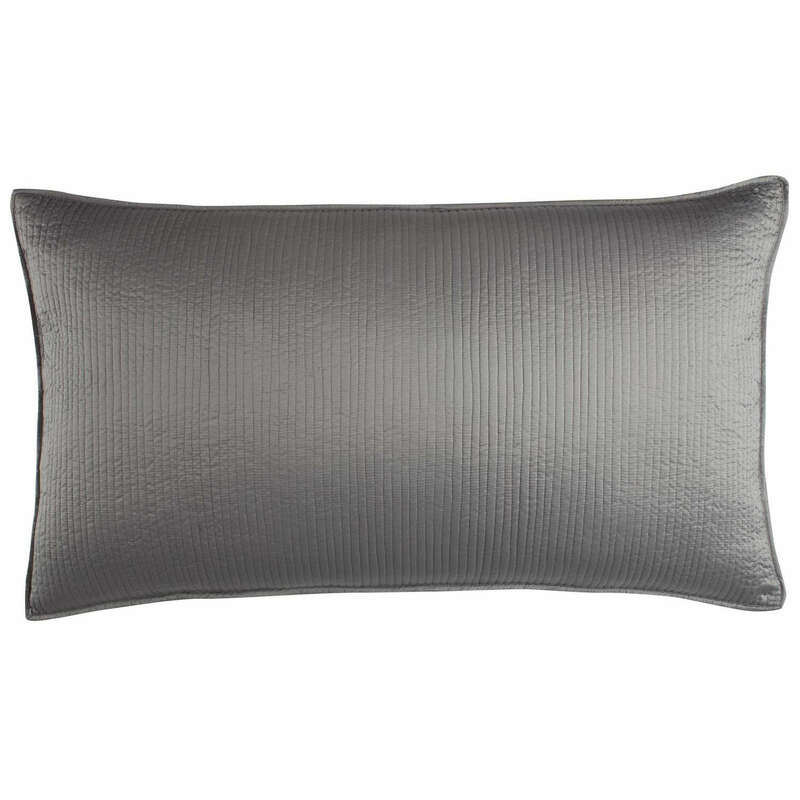 Quilted Pillow/ Pewter Silk & Sensibility, a silk-like fabric. 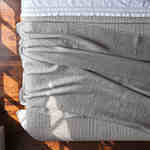 (washable) Includes 95% Feather/5% Down Insert.